Multimeters are a special type of diagnostic tool designed to measure electrical values of electrical components and circuits. The toolbox of a technician is incomplete without this device. This is because every little component needs to be checked for fault in a circuit or connection to avoid device malfunction or short circuit. If you want to avail the full benefits of a multimeter, it is very important to understand how it works and what are the varieties available. In this segment, apart from listing and elaborating the types of multimeters, we are also going to give a brief on the best multimeter brands in the market right now. Multi means many. Hence, this instrument is called multimeter rightly so because it has the functions of an Ohmmeter, voltmeter and ammeter rolled into it. Apart from a wide array of capabilities, these instruments also come with add-ons like clamps, probes, leads etc. There are mainly two types of multimeters- analog and digital. Each has its own set of unique functions, advantages, and disadvantages. Will start off the discussion with the humble yet effective analog multimeters. Analog multimeters, as you already might now, are the most basic type of multimeters and reigned over the market before the monopoly of DMMs began. Analog multimeters don’t cost even nearly as much as its digital counterparts. However, they are not always accurate. Plus, only experienced technicians and electrical engineers are able to decrypt the received data. These instruments are also known as (VOM or Volt-Ohm-Multimeter)) and comprise of a needle whose pointer indicates the reading on the scale and moving coil meter. The coil meter has a coil wound located between two permanent magnets. When the current passes through this coil, it creates a magnetic field which reacts with the magnetic field of the existing magnets. The force produced as a result of this reaction makes the needle pointer move and point to the accurate reading. The drum around which the moving coil is wrapped also has a bunch of springs attached to it which helps to regulate the deflection of the pointer on the scale by creating an opposing force. 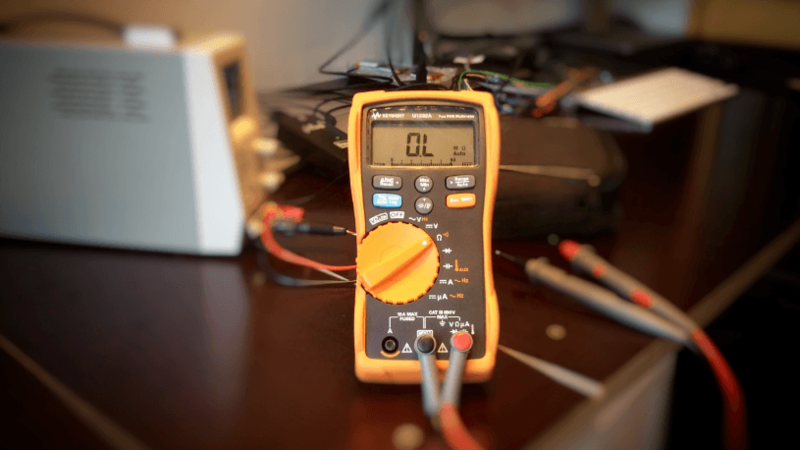 Consider the degree of accuracy and sensitivity while buying an analog multimeter. Always choose a high sensitivity tool over a low sensitivity one to achieve higher accuracy. In this context, sensitivity indicates the reciprocal of the full-scale current. Analog multimeters are ideal for tackling highly sensitive parameters. However, on the downside, since even the slightest change in the DC voltage can cause the needle of the multimeter to deflect. Digital Multimeters or DMMs are the most widely used multimeters on the market today. They measure current in increments instead of continuous range of value like analog multimeters. The signals are produced in the analog form in these instruments which are converted into digital form. For maximum accuracy and ease of use, a digital multimeter would be the best choice. These tools feature two color-coded probes- red and black. The black probe connects to the COM jack and the red probe is connected by the user to take readings of different electrical values depending on the requirement. You can see the readings on the LCD display on the outer casing. Digital multimeters also house an overload protection to prevent both the machine and the user from potential harm. Apart from being highly accurate, digital multimeters are capable of reading both positive and negative values as well. Digital multimeters can be further divided into 3 subcategories- Fluke, auto ranging and clamp digital. Fluke multimeters are mainly used for testing diodes, measuring resistance and amperage. They come with transient voltage protection to prevent the tool from damage if it’s connected to the wrong port by mistake. Although most Fluke multimeters have a range of multi selectors, the Fluke MM can select the range on its own. Apart from the basic function mentioned above, some advanced models can also measure temperature, duty cycle, frequency, and humidity. This type of multimeters is the most expensive of the lot and the easiest to use at the same time. It saves you the trouble of figuring out which range of value of the parameter you are trying to measure falls under. The dial or rotary switch also has fewer selections. This kind of multimeters is chiefly designed to measure the flow of electricity. You will have to multiply the voltage readings by the amperage to calibrate the power consumption. Fluke is undoubtedly the most popular name in the multimeter industry. It was founded in 1948 and today it has a massive collection of multimeters that technicians all over the world rely on for troubleshooting. Apart from sound engineering, what also makes their product a favorite among pros is their attention to detail and user safety. You can read more about the best Fluke multimeters in the segment where we covered the best multimeters of 2018. Amprobe, as many experts would say, one of the original creators of digital multimeters. They were established in the same year as Fluke. Their range of amp clamp multimeters boasts of an unparallel design and performance. Klein has been into existence since 1857. This US-based company is known for manufacturing some of the best auto ranging multimeters in the world. Their midrange multimeters are favorite among both professionals and DIY enthusiasts. This Chinese brand produces affordable, feature-packed multimeters while keeping the safety their top priority. Many of their selections come with hi-tech features like sound, light and humidity sensor. Innova has factories both in US and Canada and has a huge collection of pocket-friendly digital multimeter options for non-technicians. 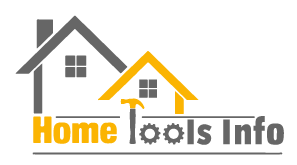 Although the overall construction and quality of their products are not on par with those of Fluke or Amprobe, features like RPM and temperature output are bonus for DIY aficionados. This Netherland-based company has survived the insane competition by Fluke for over 90 years with sheer innovation and impeccable business tactics. Their Digital Multi-meter with 8 Functions is extensively used by seasoned technicians to troubleshoot complex circuit issues. Apart from the ones listed above, there are tons of other brands claiming to manufacture world-class tools but trusting in a lesser known brand is never a good idea. Especially while choosing a machine used for dealing with electrical components. Choose a multimeter that caters to your specific demands and has solid security features and you won’t regret your investment.